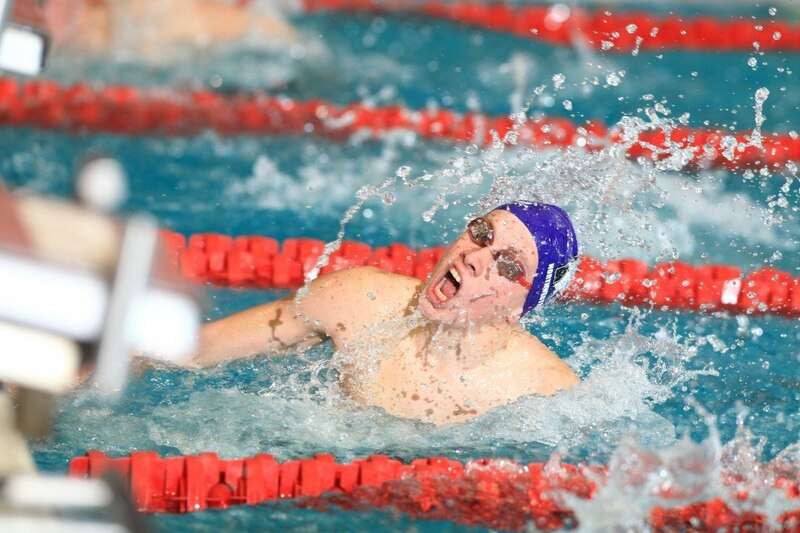 EVANSTON, Ill. — The final dual meet competition of the 2014-15 season for both Northwestern men’s and women’s swimming and diving squads happens this weekend, Friday and Saturday, Jan. 30-31, against both Minnesota and Purdue in Minneapolis, Minn. The two session meet begins at 5 p.m. CT Friday evening at Minnesota’s University Aquatic Center. The second half of the meet program will take place at noon CT Saturday. Live results will be available courtesy of Gophersports.com. Minnesota’s women are ranked No. 11 in the nation while the Gopher men are No. 23 in the most recent College Swimming Coaches Association of America (CSCAA) polls. The Purdue women are receiving votes. This meet marks the second-straight weekend that the Wildcats have faced ranked foes. The NU women — despite being shorthanded with all of their divers unavailable due to injury or illness — earned a 10-point victory over No. 21 Iowa on Saturday in Iowa City. The NU men pulled to within five points of No. 19 Iowa during the second half of their meet before ultimately falling to the Hawkeyes. Several standouts have emerged for the Wildcats among both the men and women. The development of Mary Warren (Hartland, Wis./Arrowhead) and Annika Winsnes (Singapore/United Work College) in the sprint freestyles to complement NCAA mile qualifier Lauren Abruzzo (Denver, Colo./Kent Denver) gives NU formidable freestylers up and down the distances. Sophomores Lacey Locke (Carmel, Ind./Carmel) in the backstrokes and Ellen Stello (Shorewood, Wis./Shorewood) in the 200 fly and other middle-distance strokes are real Big Ten Championships scoring threats this year. For the men, junior Jordan Wilimovsky (Malibu, Calif./Malibu) enters this weekend as the No. 1 ranked swimmer in the Big Ten and third-ranked swimmer in the nation in the 1,650 freestyle one year after finishing fourth at the NCAA Championships in the event. Freshman Almog Olshtein (Haifa, Israel/Haifa) has been a strong addition in the sprint freestyle races for the Wildcats while sophomore Charlie Cole (Bernardsville, N.J./Bernards) has had some ownage of the 200 free for NU this year, giving the men the same type of freestyle dominance from the 50 to 1,650 that the women are enjoying. Sophomore diver Andrew Cramer (Indianapolis, Ind./Cathedral) has built well on a solid freshman campaign that saw him break two school records. Following this meet, both squads have time off to finalize preparations for the Big Ten Championships. The women compete Feb. 18-21 at Ohio State while the men return to Iowa Feb. 25-28 after nearly a month away from competition.